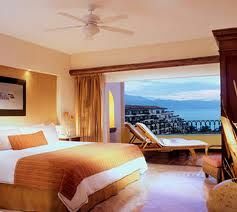 The Velas Vallarta Suite Resort is a beautiful vacation location overlooking the Mexican Riviera and the turquoise waters of Banderas Bay. Timeshares here are perfect for couples and small groups of 2-3 people for the studio apartments up to two and three bedroom suites with occupancy up to seven or eight. 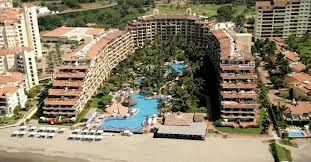 If you've ever dreamed of a relaxing Mexican vacation right on the beach, the timeshare resales at Velas Vallarta Suite Resort are the place to make those dreams come true. It is perfectly positioned to catch the sweet ocean breezes, as the sandy beach is just steps from your door. A personal concierge is on staff to guide you to insightful locations that make vacations truly stand out. And with onsite activities and services for all ages, everyone is going to have a wonderful time, whether it's children playing in the Kids Club to live entertainment and music by night. 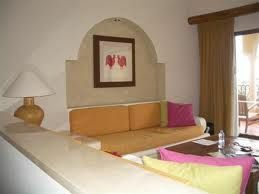 It also has all the amenities you would expect of a luxury resort in Mexico. 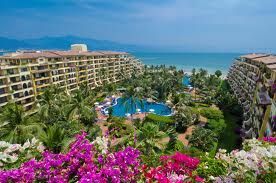 With these Puerto Vallarta timeshare resales, you can work out at the spacious onsite fitness center, relax with a soothing massage at the spa, and take a stroll through tropical gardens full of picturesque fountains, eye-catching beach views, and swim in one of two swimming pools. 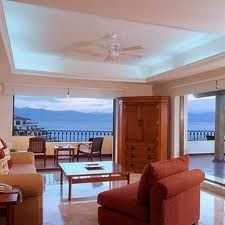 When you choose these Puerto Vallarta timeshare resales, one of 209 air conditioned rooms await your vacation. If you feel like dining in, there is a kitchen with a refrigerator and a stovetop for cooking, and a free mini bar for after dinner drinks. Wireless internet keeps you in touch with friends and family back home, while the living room entertainment center keeps you entertained in the here and now. However, the resort is also all-inclusive, with dining and onsite beverages available at the resort's restaurants for an additional all-inclusive fee. 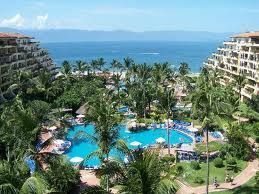 The Velas Vallarta Suite Resort is also a great place to explore the many wonders of the Mexican Riviera. From special deals on golf courses, to international shopping and dining, to easy access to the myriad of water sports and inland adventures, a stay at this resort is sure to give you the tropical vacation you've always dreamed of. 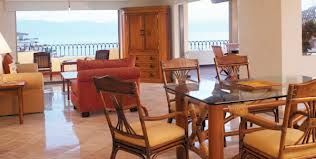 Contact Velas Vallarta Suite Resort & Convention Center Specialist Today!